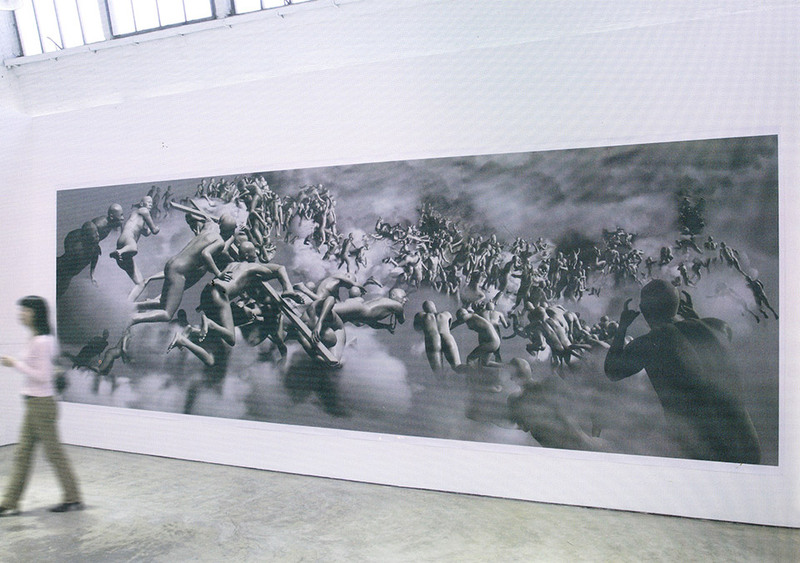 Countless numbers of naked, bald figures pushing against one another as they rush amidst the clouds. A closer look reveals to the viewer that these figures are identical and autobiographical, al- though void of any expressions. 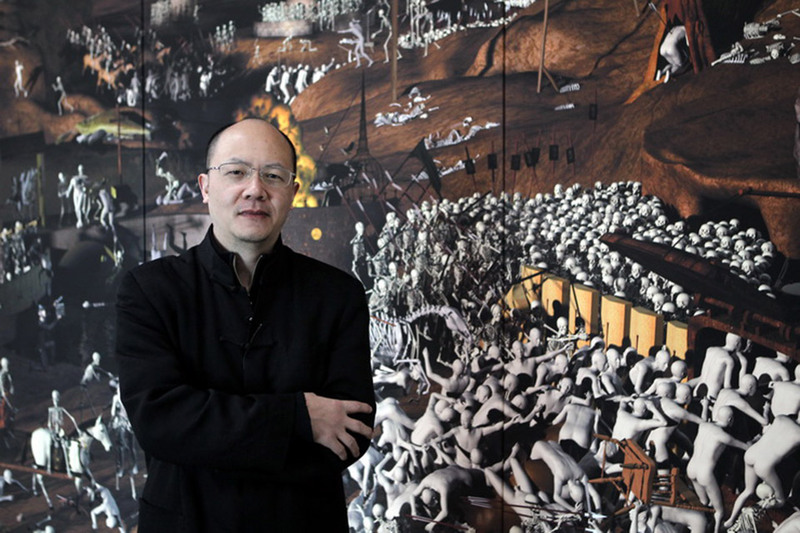 Miao developed his plastic alter ego as a reaction to the feeling of alienation in a different culture when he was studying in Germany between 1995 and 1999. This particular work was inspired by Michelangelo’s « The Last Judg- ment » in the Sistine Chapel, and is the last part of Miao’s « The Last Judgment in Cyberspace » series.